This gorgeous painting was done by Dan Spier and is the most unique idea for a painting that I've seen in a long time. 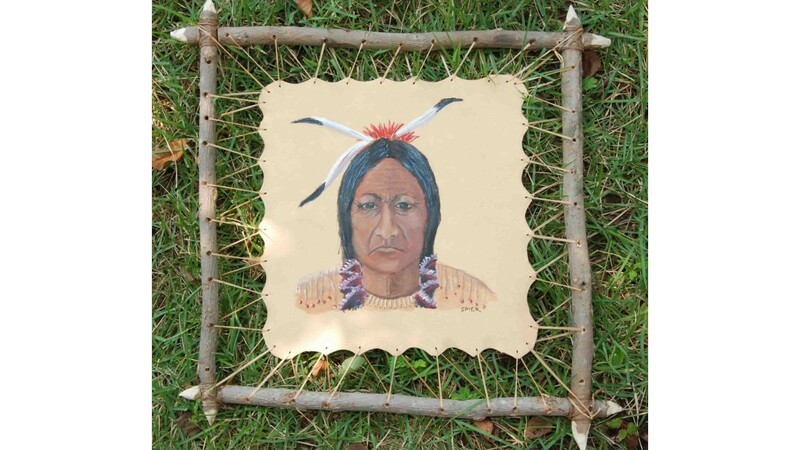 A square frame of sticks was lashed together and then a piece of leather was stretched in the center, upon which Dan painted a noble Indian chief. 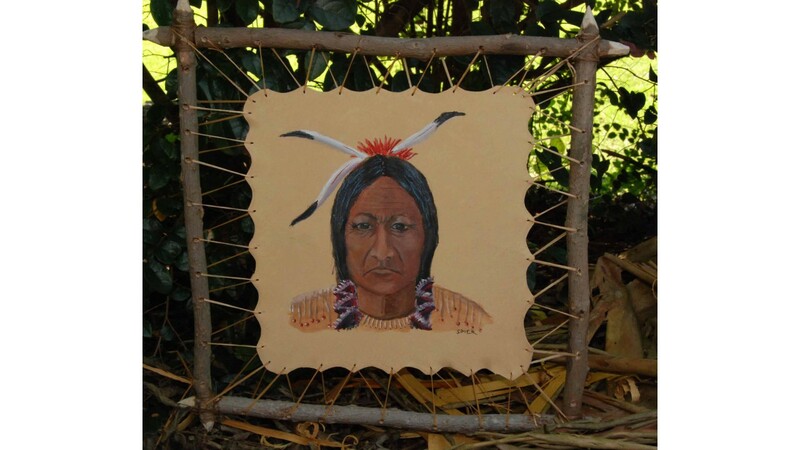 This painting has several aspects of Native American culture infused in its construction. 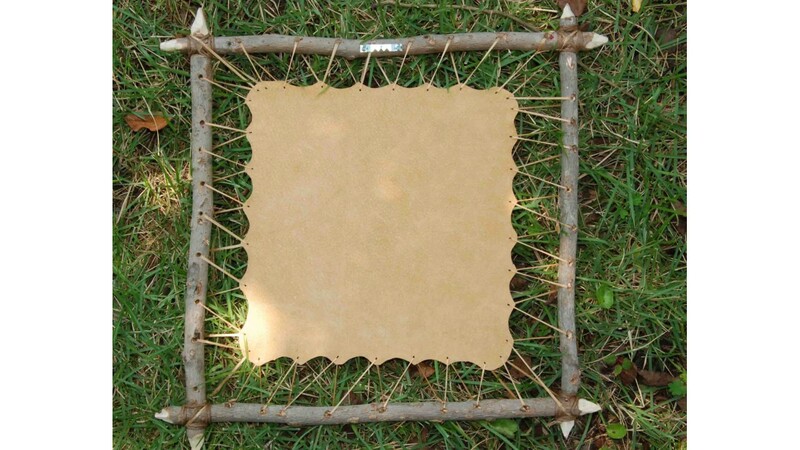 The Indians used to stretch buffalo and deer hides in identical, though much larger frames when tanning them. This painting takes that idea and applies it to create a canvas onto which the painting is made. 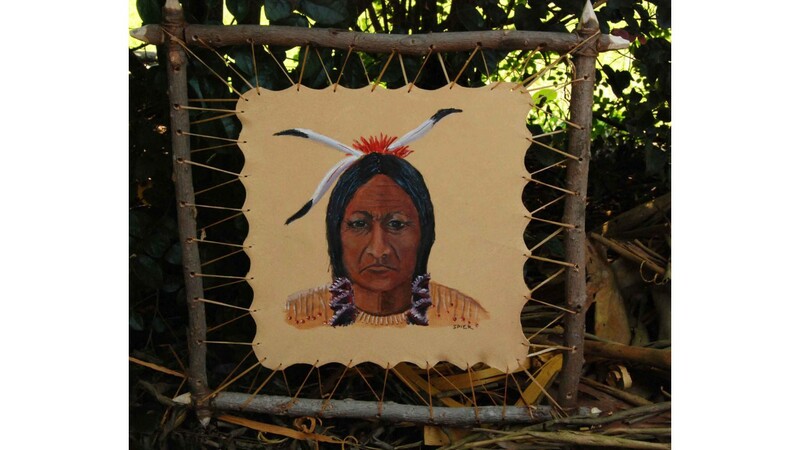 This unique piece of art will is perfect for anyone interested in Native American or Western art. This is an original artwork by Dan Spier. 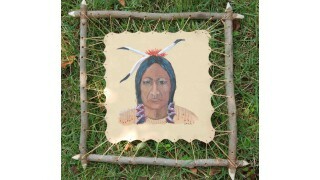 Painting (including frame) measures 17 1/2 inches wide by 17 1/2 inches tall. Click photos for larger images.